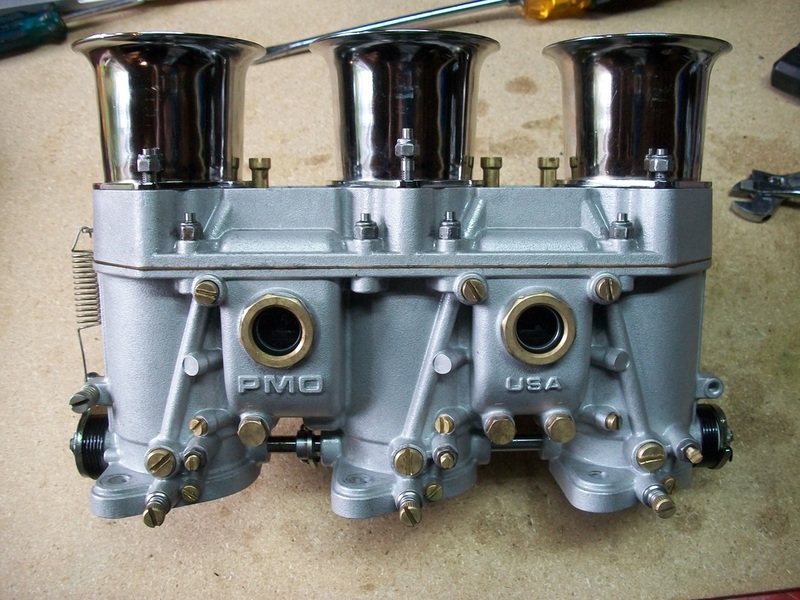 Ultrasonic carburetor cleaning service, ultrasonic carb cleaning service - keepyourmotorrunnin, inc.
Carburetors are best cleaned with an ultrasonic cleaner. Carburetors usually get gummed with a gas varnish, or shellac, that is very difficult to clean with a brush as varnish accumulates in tiny orifices that are impossible to reach. This problem is rather new since the availability of sweet oil is getting less and less over the years. Most of the gas that we use in America comes from Canada which is made by extracting it from the soil by adding aqueous solution to it and distilling it. This type of gas generates more varnish in engines today than ever before. Now that ethanol is added to almost all gasoline the problem is compounded many times over. This fuel goes bad very quickly. If left over a period of time gasoline, oil and ethanol will start separating from one another in the gas tank, fuel lines and carburetor. An ultrasonic cleaner is used by adding a cleaning solution in its tank and placing the components to be cleaned in the solution. The ultrasonic cleaner can clean by generating ultrasonic waves into the cleaning solution; the waves generated separate the cleaning solution’s molecules apart causing vacuum “cavities”. These cavities then implode causing “de-cavitations” of ultra-high energy spots of 5000 degrees C. These de-cavitations act as microscopic scrubbers that clean effectively. 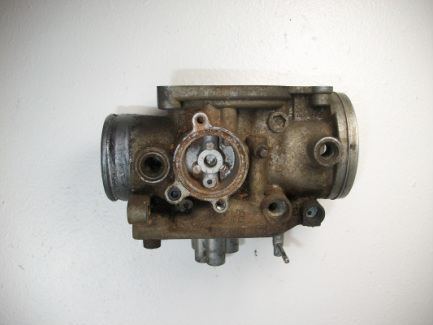 Carburetors have lots of inaccessible areas that you just can't see to clean. The ultrasonic action cleans these hard-to-reach areas as well as exposed surfaces. Because ultrasonic cleaning action only removes oil, carbon, varnish and other built-up dirt, O-rings, seals and plastic can be left in place. High end ultrasonic machines also incorporate a heating element that furthers the efficiency of ultrasonic cleaning. The solution we use is an alkaline chemical mixed with water. Alkaline is the opposite of an Acid. Acidic solutions won’t work in this case as acid and oil don’t mix. The alkaline solution reacts with oil and turns it into soap which helps it to clean itself! Our ultrasonic cleaner is also heated and cleans at 40,000 hz, the strongest ultrasonic carburetor cleaner available. Can you think of a more efficient way to clean carbs? We can't either! We know many of you like to rebuild and work on your own carburetors but do not want to spend thousands of dollars on the equipment to clean one. 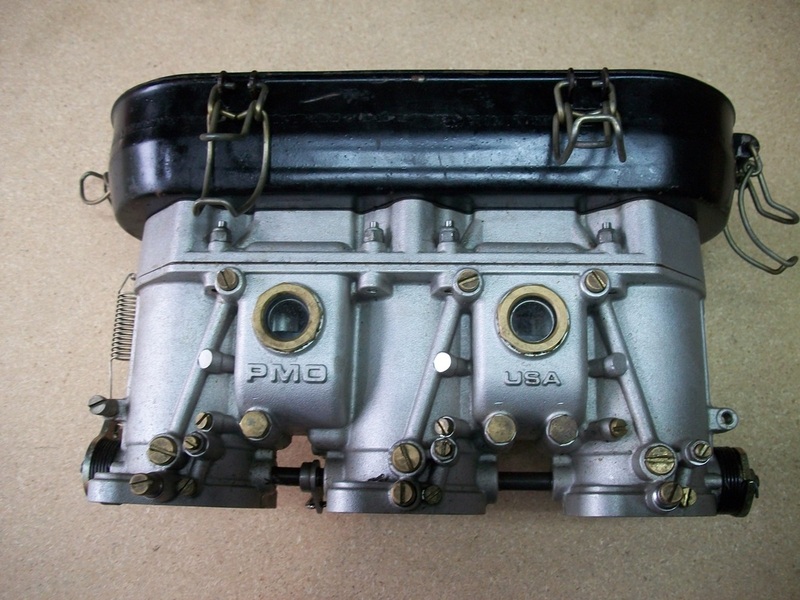 We offer ultrasonic carb cleaning service to you knowing that it will help you to do a better job on your carburetors. This is especially helpful in power sports and racing applications. Why not try it out now? Our ultrasonic carb cleaning service is a low cost alternative to replacing a carb that you cannot get clean with wire brushes and cans of carb cleaner. Even that gets expensive and messy! We carefully clean the parts and package them securely for shipment back to your shop for rebuilding. If you are in a hurry we can do it same or next day and overnight it back to you. We take walk-in customers by appointment only. Our ultrasonic carb cleaning service is located in Amherst, NH. We mostly operate thru package services. Mail your disassembled carburetors to us and we will return them thoroughly cleaned. We also offer a a full rebuild service if needed. Call Paul at (603)913-7151 to make an appointment to have yours cleaned ultrasonically. We also disassemble, clean and reassemble if you are not comfortable doing it your self. Please call for prices. We clean throttle bodies, automobile carbs and most any other fuel intake system component with the exception of fuel injectors. Call for prices. Our email is paul.keepyourmotorrunnin@gmail.com or you can use the contact box on our home page. Our phone number is (603) 913-7151. Please feel free to call if you have questions about our ultrasonic carb cleaning service. Pricing: $50.00 per carburetor. You do not need to break multiple carburetor racks down as my machine is 20 inches wide, just disassemble the internals. Call for pricing on disassembly and reassembly. Call for pricing on automotive carbs and for disassembling and reassembling carburetor for cleaning. A few months ago I bought myself a new bike off of craigslist, one of those amazing "just-has-this-one-little-problem" deals that you just can't pass up even though you know it's a bad idea. In this case the "one little problem" was the carbs. For the first two months I had it, it was completely useless (it could idle on choke, but that was about it). When I took the carbs off for the first time, they were already spotless. I cleaned them two more times myself anyway, but with no success. Finally, after two months of aggravation, convinced that I'd been duped, I called Paul as a last resort before I put the bike back up for sale. The next day I handed my carbs over to him. 48 hours later, the carbs were back on my bike, and my bike was back on the road, running beautifully. Aside from the ultrasonic cleaning, Paul was very know-ledgeable and helpful and offered me some great advice on things I could do myslef to improve my bike's performance. 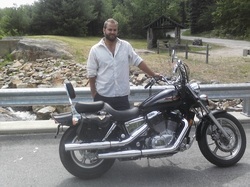 I look forward to having this bike for a very long time, and if it weren't for Paul, it would probably be sitting in some other poor sucker's driveway right now, still running like crap, if not on top of a garbage heap with a bullet hole through the gas tank. This is a dual carb setup off a CB400. This is the same setup but I only cleaned the right side. This little carb was removed from a 1972 Honda CL100S that had sat with gas in it since 1979. I have never seen one this bad. I thought the bowl was cemented to the carb body but it was the varnish in the bottom of the bowl that had the floats locked in. It had to be dipped in the ultrasonic cleaner with only the bowl removed just to be able to disassemble it the rest of the way for a thorough cleaning. The before and after pictures really say it all. The ultrasonic carb cleaning service is well worth the money. The carb is back together and mounted on the bike again. It isn't getting spark right now but when that is fixed I expect it will run like new!